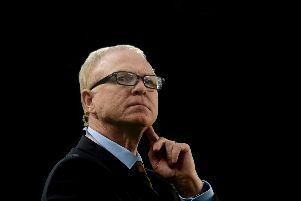 Alex McLeish has urged the fans to stick by his team in spite of their uninspiring performance. Picture: PA.
McLeish refused to concede that direct qualification from Group I had been made to look forlorn by Russia yesterday securing a 4-0 victory in the same Astana Arena where Scotland were humbled on Thursday night. He accepted that his team must play better than they did across the opening double header but maintained that “human” instincts had contributed to the “rut” his team fell into subsequent to taking a fifth-minute lead through Kenny McLean, with several uncomfortable moments ensuing before the win was sealed with a 74th minute Johnny Russell strike. The petering out of Scotland’s display in between times led to chants of “sack the board” and “f*** the SFA” from the near 3,000-strong support that followed their country to the Italy-enclaved microstate, and who jeered the team off at full-time. “I think they were frustrated that we never kicked on from the first goal,” he said. “We did try to keep things going. As soon as the ball was in the net, ‘go and grab it run to the centre circle, keep the ball and keep the pressure on’. When they did break against us the defensive marking was good. But you could see there were one or two nervy clearances, maybe clearing a ball when they could have made a pass. They are human beings, sometimes they get affected. But if they come through that it will make them stronger. McLeish acknowledged the performance in no way made up for the failings in Kazakhstan. “Listen, it’s been a difficult weekend for us,” he said. “We knew 1-0 or 2-0 was not going to be looked at in any great light at all but it was important for us to win after the disappointment in Kazakhstan. Everybody is hurting on that one. We never quite got the avalanche of goals everyone was looking for but there are reasons for that. 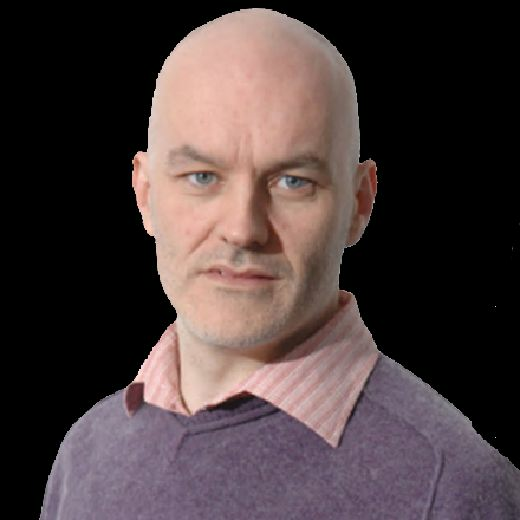 McLeish refused to read too much into Russia blitzing Kazakhstan yesterday – which would seem to paint Scotland’s undoing by that nation in an altogether harsher light. The outcome doesn’t, he maintained, doesn’t mean the die is cast on who will claim the two qualifications berths in Group I. “It is early days. The Russians probably watched our video and decided ‘don’t defend the way Scotland did’ for the first two goals especially. That is what it is, we can’t go backwards, we have to look forward. Yes [we can bounce back]. It’s never over. We know the Russians are strong, we know Belgium are favourites, but it’s never over this early in a competition. “I think there will be blips in the ensuring games and we have to get better. It’s quite simple. And we need to get our best players in the team. McLeish made six alterations to the side that lost in Kazakhstan and sprung a major surprise in leaving James Forrest on the bench until he set up the second goal after being brought on with 20 minutes remaining. “We made a lot of changes, fresh players coming in,” said McLeish. “James has played a lot of football. I explained to him he’s an integral part of the team and the squad. I know he wanted to play, everyone wanted to play, but I said I was going to change the team regardless. There was nothing frightening about that.